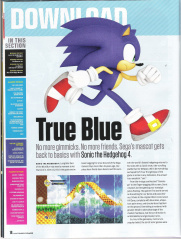 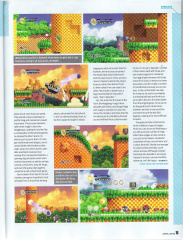 True Blue - Sonic the Hedgehog 4 is a four-page preview of Sonic the Hedgehog 4 in the April 2010 issue of Nintendo Power. 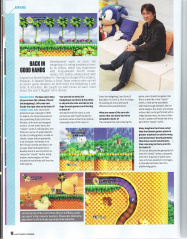 It features screenshots of the game, and an interview with Takashi Iizuka. 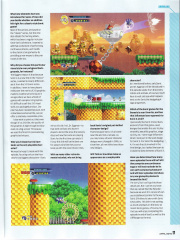 This page was last edited on 27 April 2012, at 19:31.